South America is now a little closer to Munich. Celebrating a big occasion in grand style, Munich Airport marked the launch of Avianca’s new service to Bogotá with a traditional ribbon-cutting ceremony. Munich is now the only German destination served non-stop by the Colombian carrier. In attendance at the event were Hernán Rincón, the CEO of Avianca, and Dr. Michael Kerkloh, the President and CEO of Munich Airport. 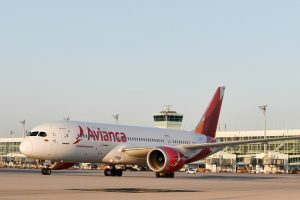 “We’re delighted that Avianca has chosen Munich. 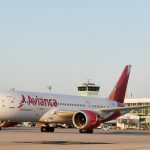 The airline honored as the best carrier in South America will now be landing at the best airport in Europe,” said Dr. Kerkloh. Avianca is the world’s second-oldest airline. It will serve the Munich route with the modern, widebody Boeing 787-800 Dreamliner.